Navigating the Japan train systems for the first time can be stressful. This guide was put together to help others. 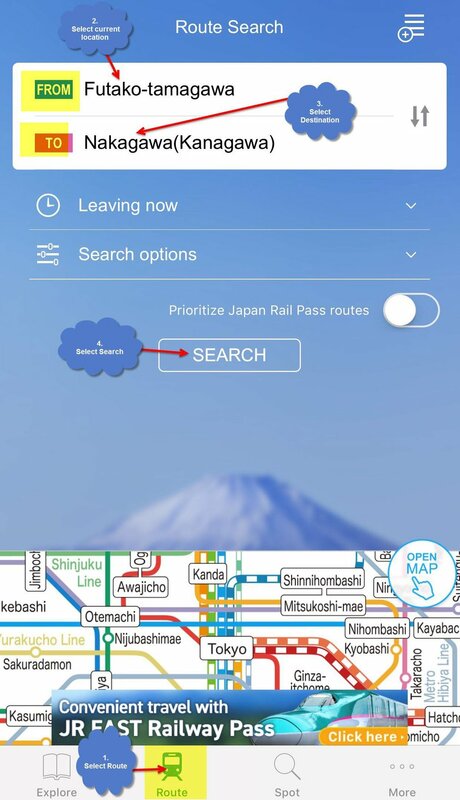 A great App to use when traveling in Japan and navigating the train systems is Japan Travel – route, map, JR by NAVITIME JAPAN CO, LTD.
As seen in the first screen shot, enter your ‘From’ and ‘To’ destinations to run your search. 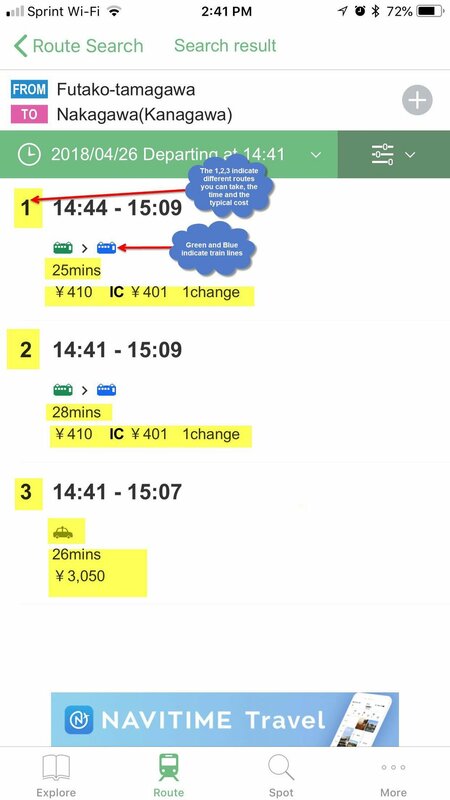 The results are then displayed in the second page example indicating train lines by the color cars, additional route options, and typical cost for each option. The third screen shot is the Jasmine clinic stop. This example shows that I started on the green line and transferred to the blue line. All throughout the ride, I opened up Apple maps to see when the next stops were coming so I wouldn’t miss my stop or connection. Therefore, as side note, it is important to have a stable WiFi connection and phone battery life. There are stairs and escalators to navigate throughout each station. If you’re close to the Jasmine clinic, consider taxis when transporting your dog prior to surgery and on the day of for peace of mind and less stress on your pup.